Job-hopping is on the rise. Should you consider switching roles to make more money? Think of job-hopping like aspirin. A little can be beneficial and healthy; too much can be really bad for you. 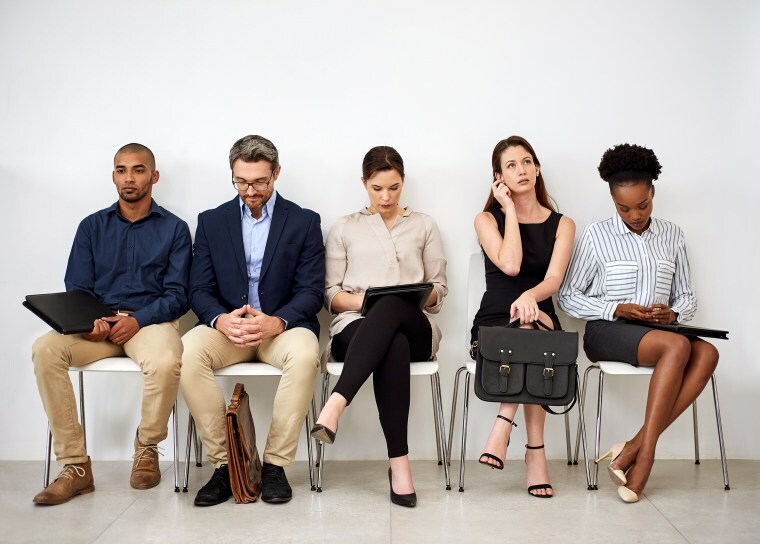 Job-hopping, generally defined as spending less than two years in a position, can be an easy path to a higher salary — but experts caution that bouncing from position to position can be a serious red flag to prospective employers. Unfortunately, the majority of workers — 64 percent — favor job-hopping, according to a new survey by staffing firm Robert Half. That’s up 22% from a similar survey four years ago. Not surprisingly, millennial workers felt the most favorably about changing jobs frequently, with 75% of employees under 34 stating that job-hopping could benefit their careers. While it’s true that a new position can bring about increased compensation, money by itself isn’t a reason to keep moving, says career counselor Karen Chopra. “Employers look at short stints and say to themselves, ‘I’m spending a lot of time recruiting, and you seem unlikely to stay here for more than 18 months. I should keep looking for someone who’s more stable,’” Chopra explains. Right now, job-hopping is on the rise because of the good economy and millennials who’ve grown up suspecting that there’s no such thing as loyalty from employers anymore. Millennials saw what happened to their parents and friends during the 2008 Great Recession, and they aren’t as eager to put in 20 to 30 years with a company as were previous generations, explains Brett Good, senior district president for Robert Half. Think of job-hopping like aspirin, Good says. A little can be beneficial and healthy; too much can be really bad for you. Exactly how often you can hop before you tarnish your resume depends on the industry and the market, but at a certain point, some hiring managers aren’t even going to want to talk to you. “If there’s a shortage of talent in the market, job-hoppers will still find plenty of opportunities. But when the market shifts and there’s more talent available than there are jobs, the candidates who have been more stable will rise to the top and be the first called,” Good says. It’s best not to push your luck beyond two less-than-two-year stints, O’Donnell cautions. There comes a certain point — for example, 10 jobs in 10 years — no company is even going to look at you, and that’s a pretty terrifying thought. If you really can’t stay in your position for another few months, then make sure the new job you’re going to is a better fit. “The worst thing you can do is be so desperate to escape one bad job that you land in another one, and the whole process repeats itself,” he says. If a company is offering me more money, that has to be a good thing, right? Short answer: No. In some cases more money could be a huge red flag, O’Donnell says. For example, the money could be “hazard pay” because the job is so volatile. Also, the very best companies pay on average a little bit less than the highest market rate, because they can — everyone wants to work there. Overall, it’s up to you to push harder for promotions and raises inside your company, Chopra says. “Do a great job, and when you’ve reached certain milestones, go to your boss and say, ‘I’d like to discuss whether we can pump up my pay.’” Do this during appropriate intervals throughout the year — no need to wait for an annual review. If you’re thinking of going in with a counteroffer from another company in the hopes that a fear of losing you will convince your employer to pay you more, beware: They may not take kindly to what can be perceived as “strong-arming,” O’Donnell says. If you walk in and say that you got bored and switched jobs, that’s going to be a hard sell, Chopra cautions. It all comes down to how well you can explain yourself. You need to say that you’ve been on a journey with purpose, in pursuit of a bigger goal, says O’Donnell. If you work in a company with a toxic culture where your boss is insulting or where people often take credit for your work, it may be time to move on, says Dan Schawbel, author of “Back to Human.” Another big red flag is if your company is consistently hiring from the outside rather than promoting from within.